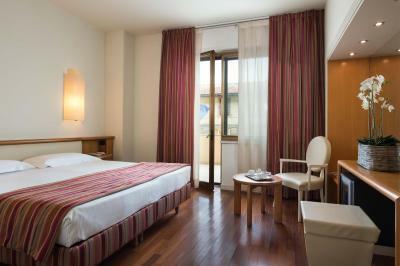 Lock in a great price for Hotel Londra - Firenze – rated 8.1 by recent guests! The hotel staff were very helpful and let us check in early. The breakfast was great. 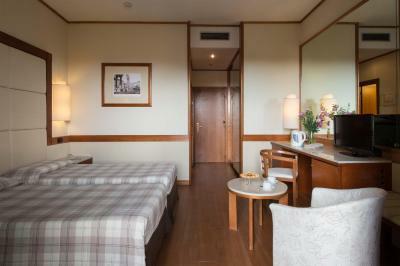 The location to all attractions and train station makes it really ideal place to stay. A modern fairly large hotel. Rooms are modern with lots of space, etc. Breakfast included was nice. Good bar as well. Close to Roma Termini. Liked the location. Easy walk to train station with luggage and easy to find restaurants Clean room and nice bed Breakfast was very nice except the breakfast staff was not very friendly. 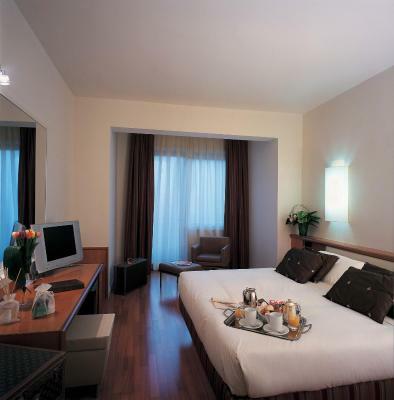 Great hotel, super close to the train station. Also in walking distance to the shopping and central district. Staff was great, called us the taxi was when we needed them. Showed us how to work our temp in our room. Parking in the back of the hotel was perfect coming back late at night from working it was all in a secure/gated area. The bed was fine. The shower was great. Friendly, welcoming staff. It was enjoyable to stay at this hotel. The breakfast was wonderful. The second room, on the 4th floor, was good. Modern decor and large comfortable bed. Air conditioner worked really well - very important as it was 103 degrees outside. The staff was responsive to our request to move rooms after the first room did not have functioning air conditioning or clean water from the tap. 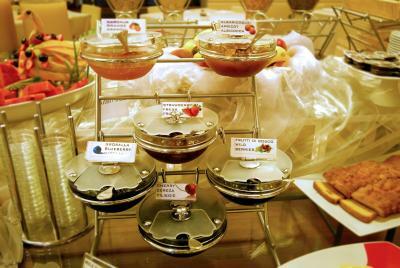 Also, the breakfast was amazing - everything from eggs and pancakes to fresh fruit, local meats and cheeses, yogurt, etc. Breakfast was great. 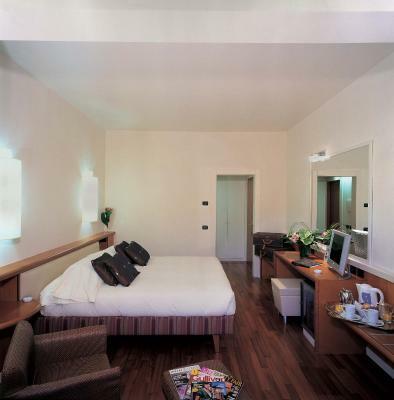 You are a short walk from Florence city center as well as the train station. The rooms were large and comfortable. The WiFi was very good. There is also onsite parking. 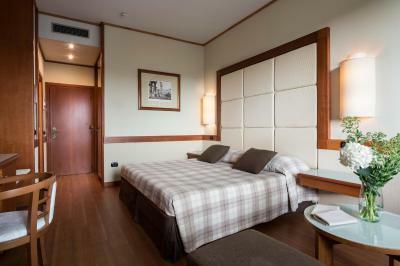 Close to the train station, excellent, clean, modernized rooms. There was even a TV in the BATHROOM! It was a great stay. The bar is nice. Breakfast is included and is very good. Throughly enjoyed the Carbonara at the restaurant. The room was big and nice. A lot was on point. 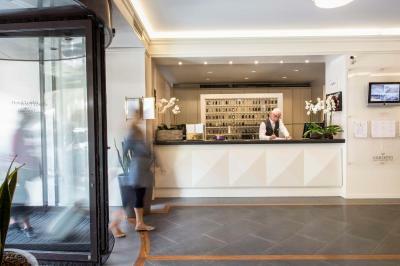 Hotel Londra - Firenze This rating is a reflection of how the property compares to the industry standard when it comes to price, facilities and services available. It's based on a self-evaluation by the property. Use this rating to help choose your stay! 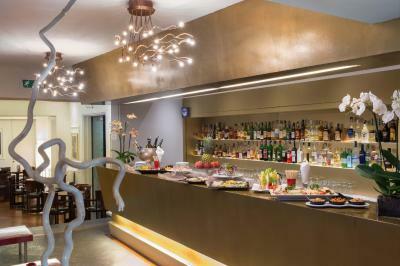 One of our top picks in Florence.Just 650 feet from Firenze Santa Maria Novella Train Station, modern Hotel Londra offers free Wi-Fi throughout the hotel. 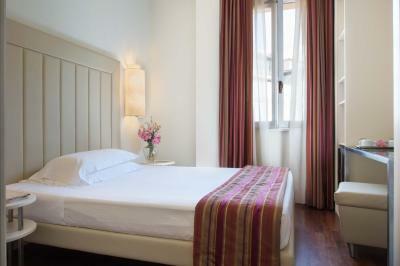 The air-conditioned rooms are stylishly furnished and there is a free sauna and gym. 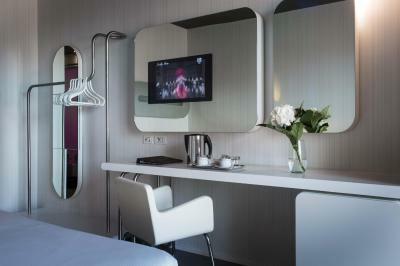 Each soundproofed room provides a satellite TV, mini-bar and desk. Some also have a seating area with tea/coffee facilities. 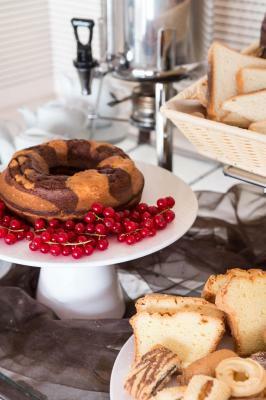 A full breakfast including homemade cakes plus cold cuts and eggs is served starting from 06:30. 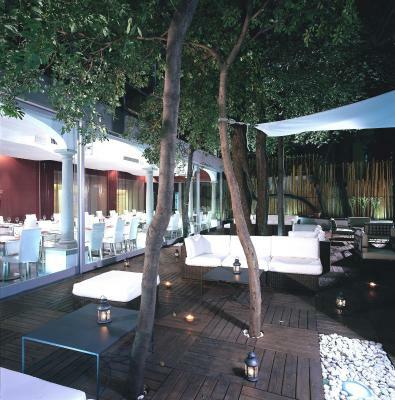 Restaurant One specializes in Tuscan dishes and Italian cuisine, while the Garden Lounge bar hosts a happy hour with appetizers and freshly-made finger food. 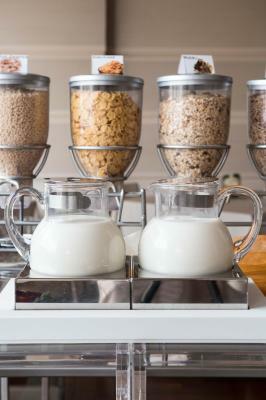 The 24-hour front desk can organize room service and tours. 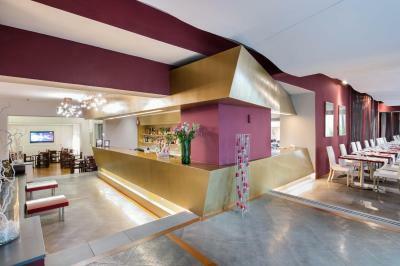 A concierge service and business center are also available. 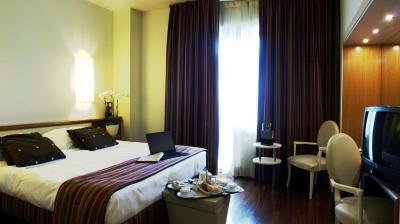 Hotel Londra is a 5-minute walk from Fortezza da Basso congress center. 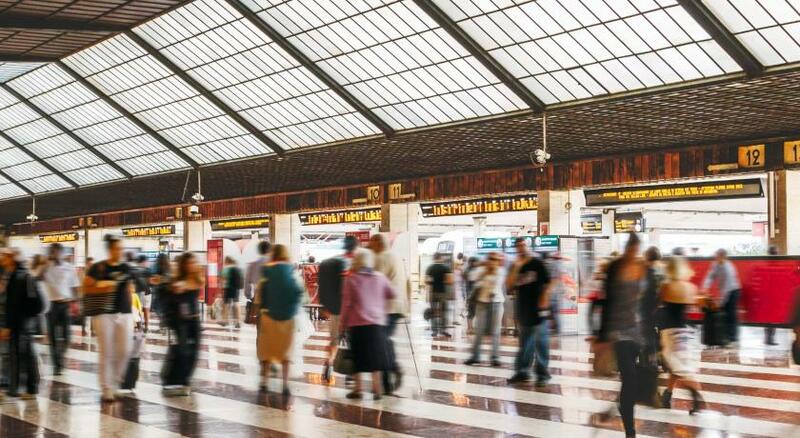 The Duomo is a 15-minute walk away. 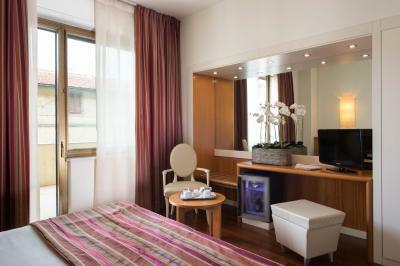 When would you like to stay at Hotel Londra - Firenze? 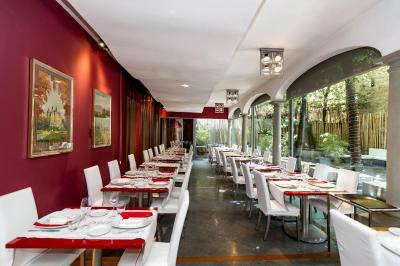 Private room with parquet or carpeted floors and double-glazed windows. Offers free Wi-Fi, air conditioning, and a satellite TV. 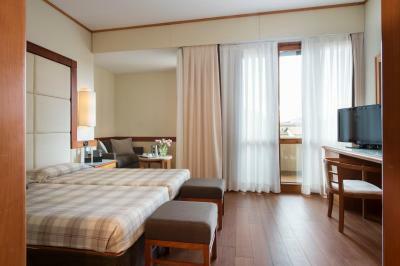 Spacious room with parquet or carpeted floors, double-glazed windows, and tea/coffee maker. Offers free Wi-Fi, air conditioning, and a satellite TV. 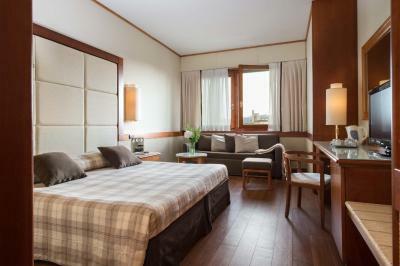 This room features 2 small double beds (55 inch wide) and double-glazed windows. 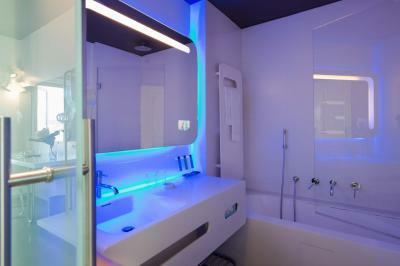 Offers free Wi-Fi, air conditioning, and a satellite TV. 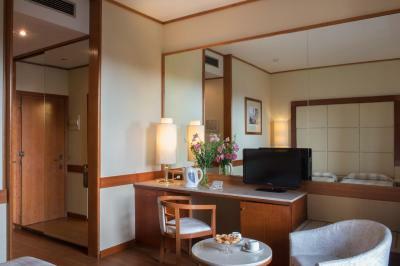 Large room with design furniture, tiled floors, double-glazed windows, and tea and coffee making facilities. 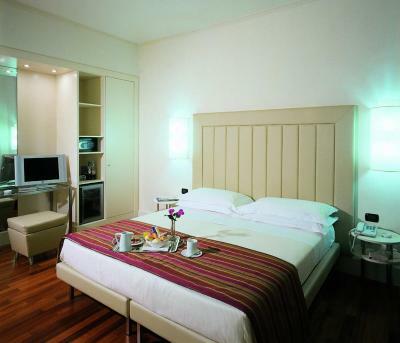 Offers free Wi-Fi, air conditioning, and a 32" LCD TV with satellite channels. 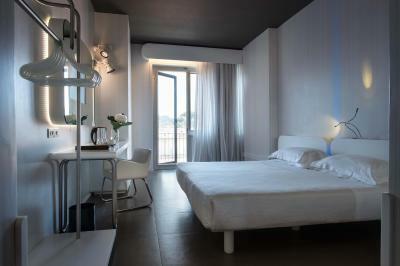 Hotel Londra is a modern design hotel that welcomes you in a very bright contemporary atmosphere. 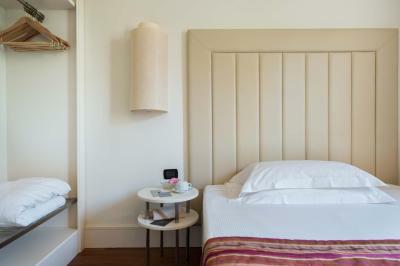 166 rooms with balcony, decorated with a minimal design tastefully blended with Italian style touches. 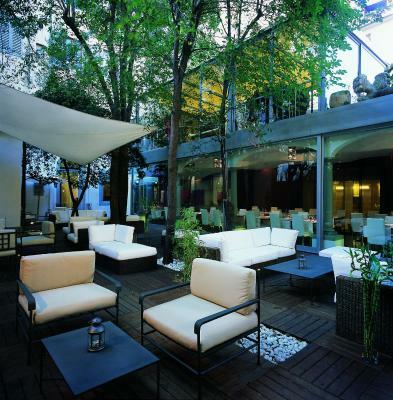 The Hotel Londra is the ideal place for a business traveler, guest at a meeting or a trade show, for whoever choose Florence to spend a week end with family, partner or friends; Take advantage of the gym, sauna and garden lounge (free access)– a nice corner with sofas and bamboo borders – and the colorful design One Restaurant with private area and smoking rooms: you will have discovered almost everything the hotel has to offer you. Free Wi-fi large band 50mbs and private parking. 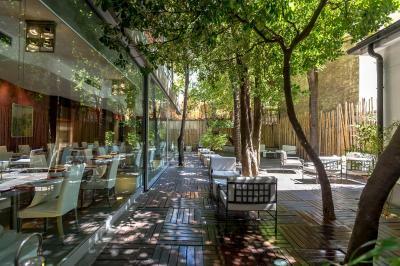 Hotel surroundings – This neighborhood is a great choice for travelers interested in food, churches and art – Check location Great location - show map Guests loved walking around the neighborhood! 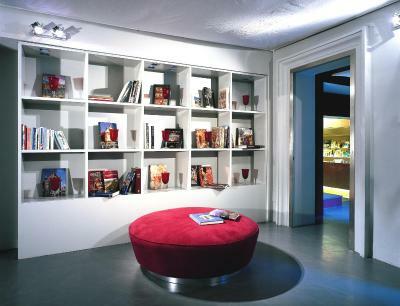 House Rules Hotel Londra - Firenze takes special requests – add in the next step! 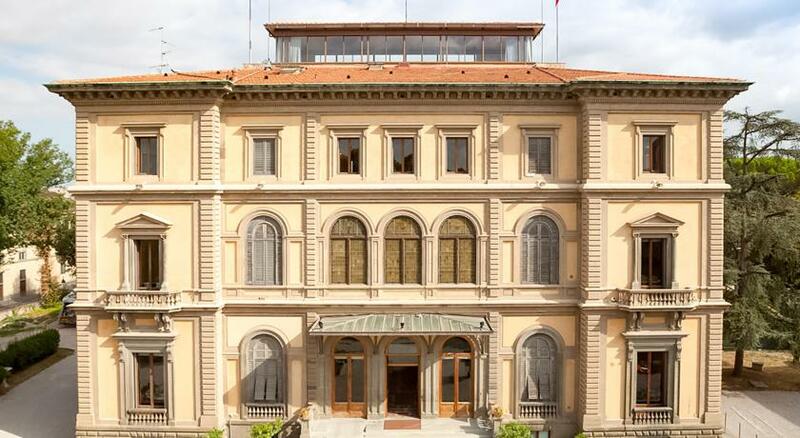 Hotel Londra - Firenze accepts these cards and reserves the right to temporarily hold an amount prior to arrival. 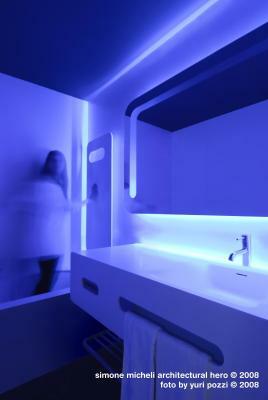 It's funny but the toilet is square and it is really uncomfortable and the TV is placed on a mirror and it was very hard to change the channels and turn it off. 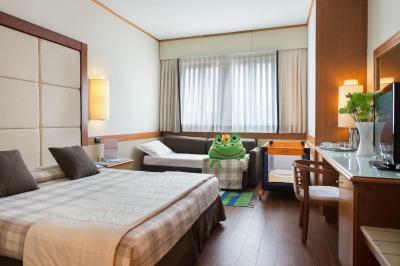 Nice hotel in easy walking distance to SMN train station. Very comfortable beds. Window could be opened, great view. Room is big enough to accommodate 3 people. 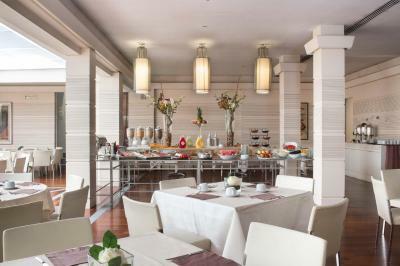 The breakfast room is spacious & the buffet has good variety. On request, the staff serves espresso. 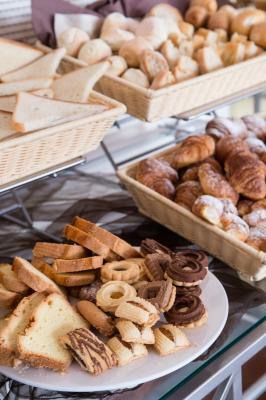 the breakfast was the same all the days and their was nothing changed, plus the variety is very small for a 4 star hotel. 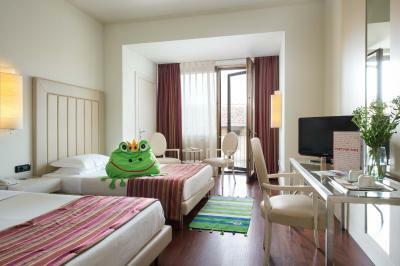 Firstly, they put us in a lower grade room than we booked. The standard of that room was like a hostel nowhere near 4* hotel. The crib was not ready as promised and had to asked for it 3 times. Got bitten by bed bugs and when I messaged the hotel to tell them they called me a liar. No air conditioner before April. We had checked out leaving our car in the parking. Came back after a walking tour and getting fresh in the washroom near the lobby. Suddenly the cleaning lady appeared with a cloudy face and murmuring something in Italian showing her displeasure of us using the washroom of which the floor was still not fully dry after cleaning. She guarded the area forcing us to leave quickly. I can't blame her as my shoes made marks on the floor. But she could have done what she did without our notice ;-) . Otherwise I would have rated "Staff" as exceeding expectations. 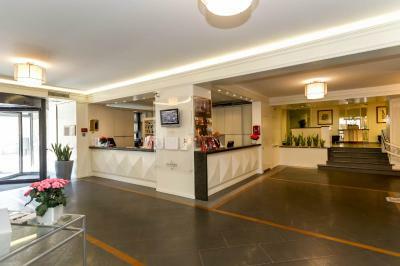 The hotel is very close to all major attractions in Florence. Also closer to SMN train station. 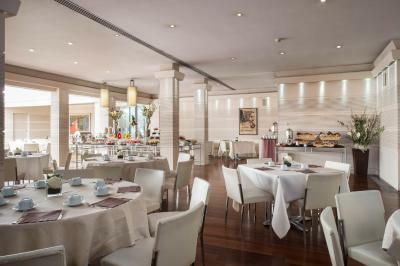 Room is good and the breakfast is also worth for the money. Check-in was very fast. Mr. Mohammed in front office was of good help. I specifically requested a quiet room and I got a room on the first floor by the street. I could see the tram from my window and I was awake at 5.30am. Awful!! Very good location, you can just about use a car, as it’s on the border of the traffic restriction zone. 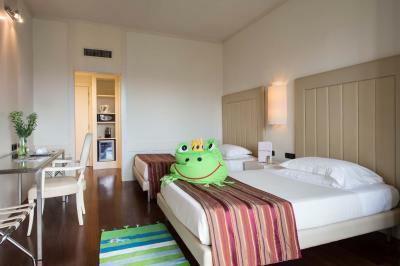 Clean room and friendly staff. Quite nice breakfast as well. There could have been more pillows although We got an extra one when we asked.